When is a sniffer rat better than a sniffer dog? Isn’t MATHS marvelous? And magical too! Who uses more calories to travel 10 km: mini or man? How far do you have to walk to walk off 1 kg of fat? How far can a biodiesel car drive on 1 kg of human fat? This week we are survivors. Sort of. Lava flowing from the Kilauea volcano is threatening tiny town of Pahoa in Hawaii. 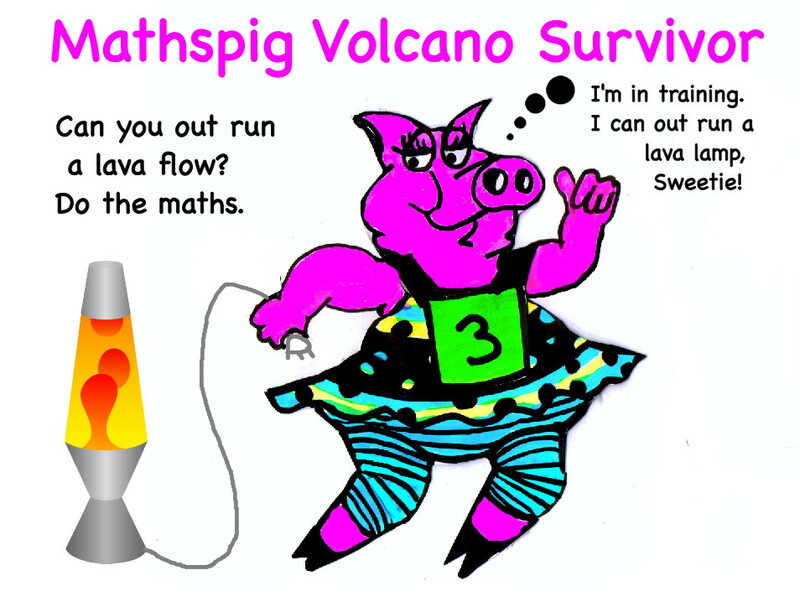 Can you out run a lava Flow? You have to do the maths. Volcano Survivor 3: Mount Unzen, Japan, 1991. 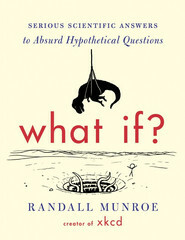 Randall Munroe is a pro web cartoonist, maths nut and maths guru who answers crazy hypothetical questions using maths. His website is xkcd. When, if ever, will Facebook contain more profiles of dead people than of living ones? Ans: It could be as early as 2065. Ans: Not to be recommended. At what speed would you have to drive for rain to shatter your windshield? Ans: Mach 1 or really, really, fast. Can you kill your teacher with chocolate! Can you outrun a zombie? In the REAPING in The Hunger Games Maths what is the chance that a brother and sister are both selected as tributes? In The TWILIGHT series Edward is an ethical vampire (He only consumes animal blood), but how many Shih tzus would he need a day to stay alive? 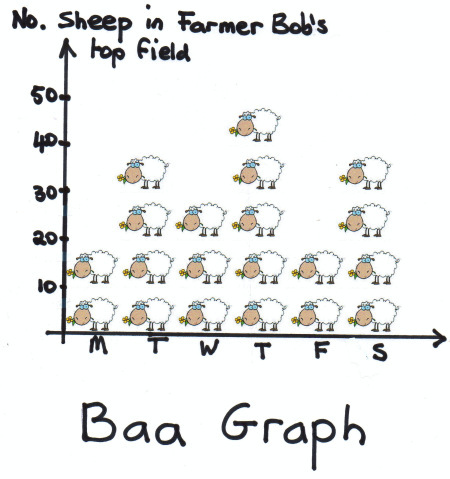 Don’t forget the Baa Graph Ha! Ha! 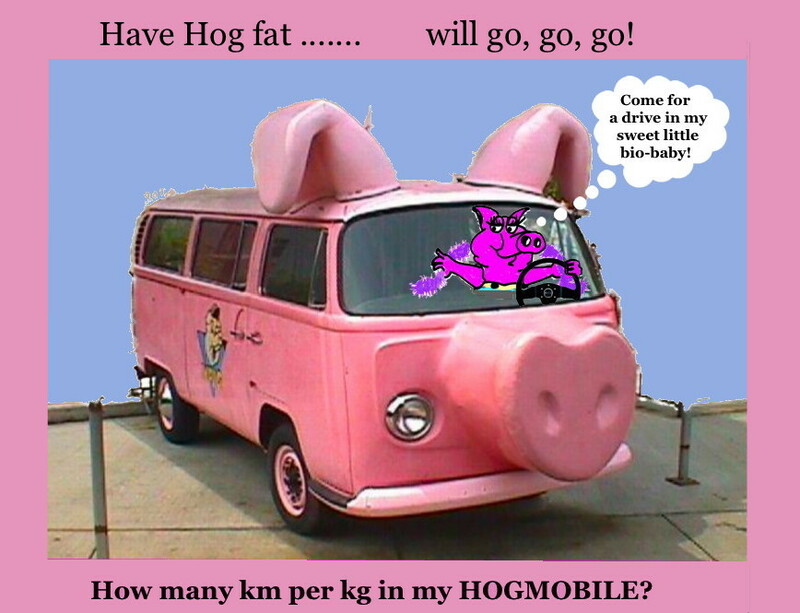 And now Mathspig has been cruising in her Hogmobile working out how far a car can travel on human fat. You will find interesting calculations here, here and here. Ooooooh! I’ve got the munchies. I better go and make some more DIY bio-fuel. 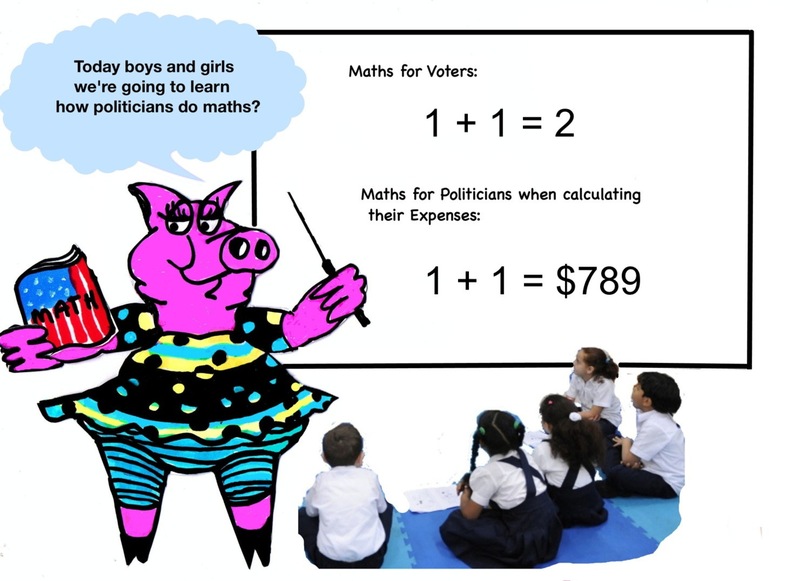 Mathspig is always bemused that politicians (all shades), who struggle with maths of the economy, taxes and even their own expense accounts, suddenly become experts on how to teach maths. With class sizes of 50, student reports stating ‘Margret was 33rd in the grade’ and the ‘strap’ waiting at the ready in the teacher’s desk draw. When the school curriculum was seen by some to be class-based patriarchal propaganda. Some schools stopped scoring football games to prevent the elitist paradigm spreading. 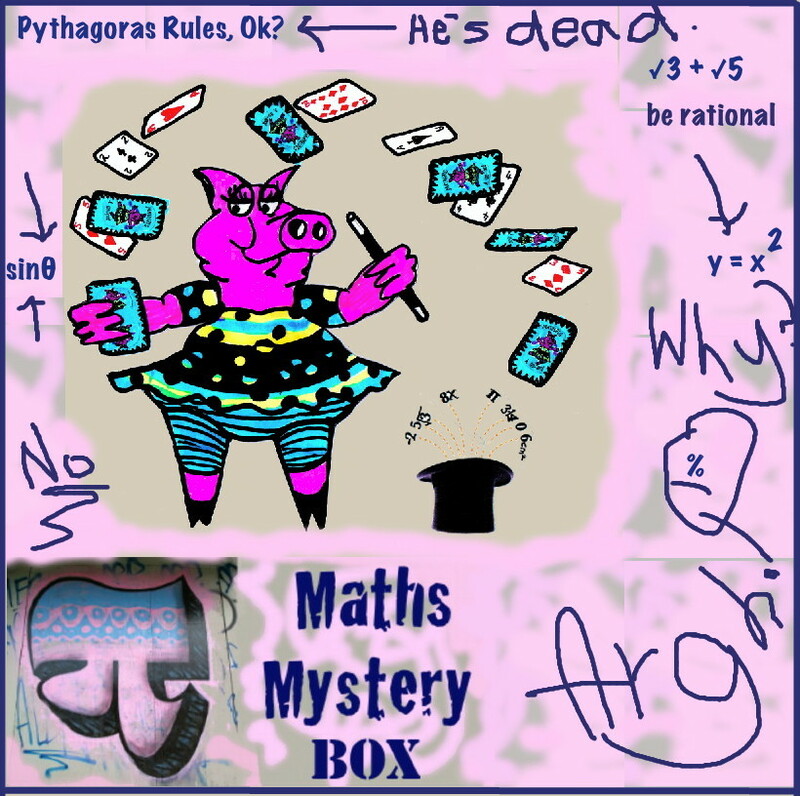 To make maths interesting, relevant and fun. Hunger Games: How long does it take to bleed to death? Hunger Games: How much an arrow drops in 100m? 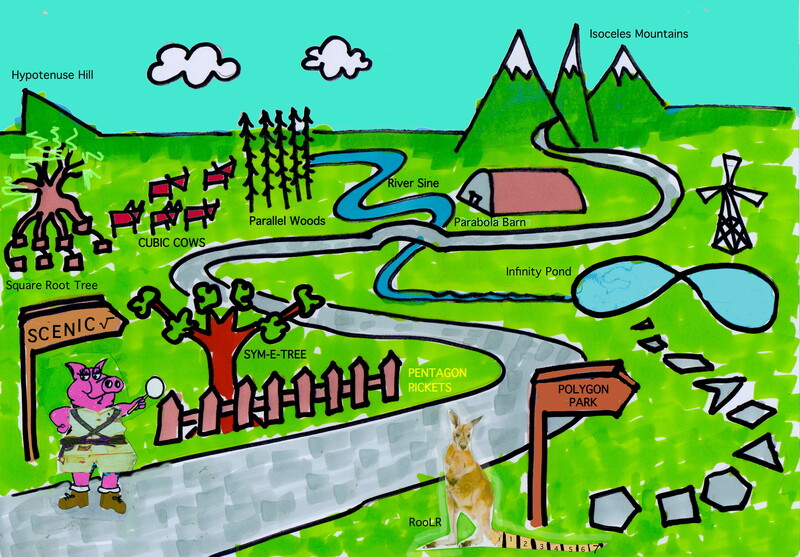 Mathspig has been reading The Last Child in the Woods by Richard Louv. He describes school today as a form of ‘passive incarceration’. Too many children live their life indoors exposed to the ‘one-way experience of television and other electronic media’. 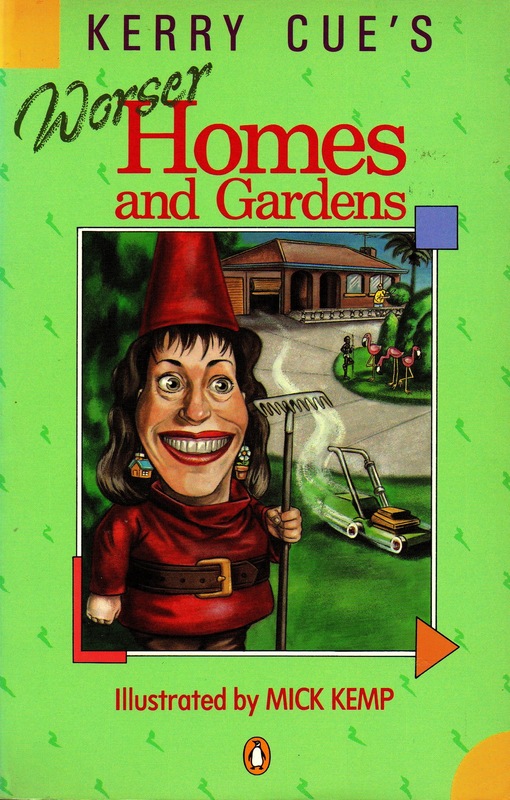 Many rarely, or never, experience nature or just digging for worms in the garden. And sometimes nature is just around the corner. 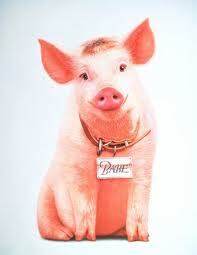 Mathspig lives 10 km from the CBD in Melbourne, Australia. Aussies often joke about riding kangaroos to school or warn of Drop Bears (Koalas that kill tourists dropping from trees). 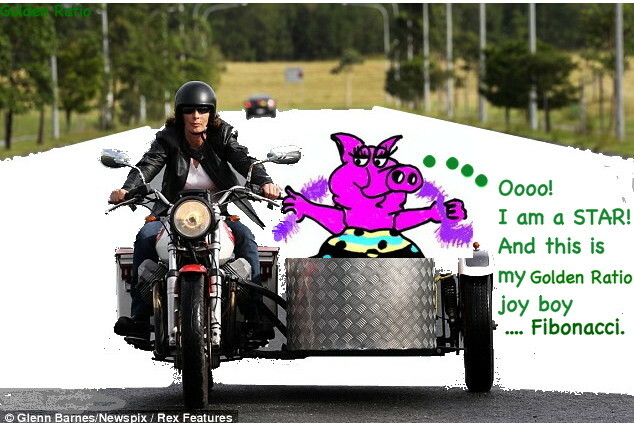 It’s our Aussie sense of humour. 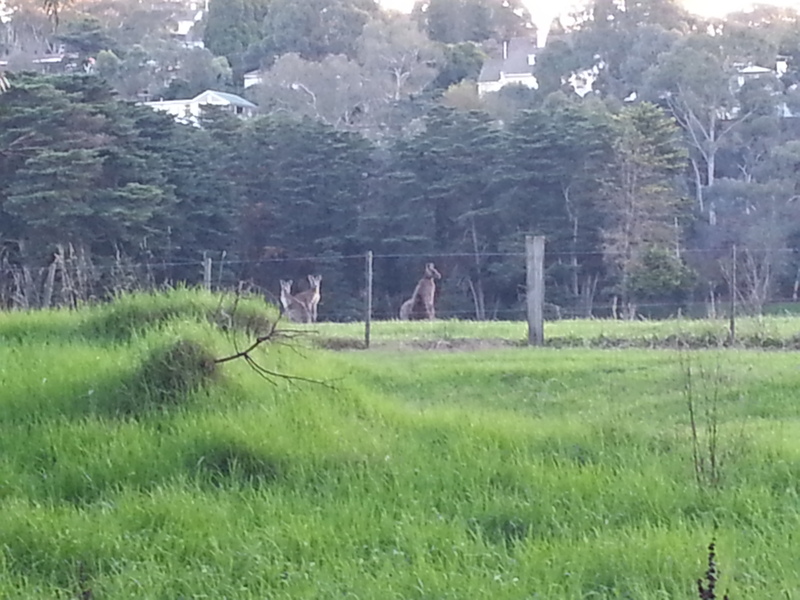 Those jokes almost seemed real when these kangaroos turned up by the Yarra river below Mathspig’s house recently. They’re wild roos. I saw them at 9am one Sunday looking at all the joggers, dog-walkers and cyclists on the nearby bike track. They didn’t seem worried. Awesome. Or, maybe, roo-some. 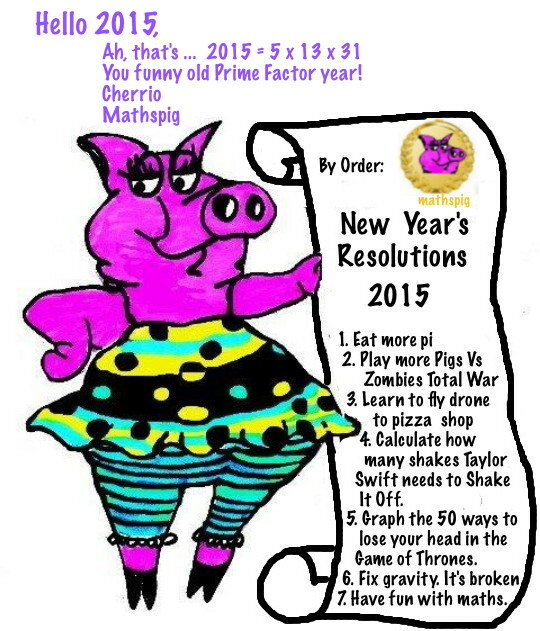 And don’t forget some Geometry Jokes. Why not invent a new unit of length, make a string in, say, Smoots, and go outside and measure parts of the school. 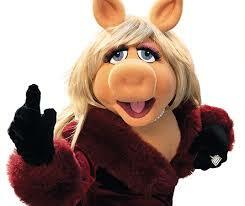 You are currently browsing the archives for the statspig category.